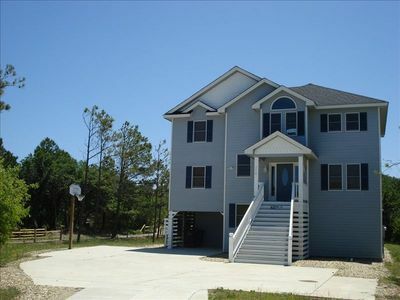 4 bedroom, 2.5 bathroom home "Tucked Away" at Whalehead Beach, Corolla is great for family gatherings at the beach. 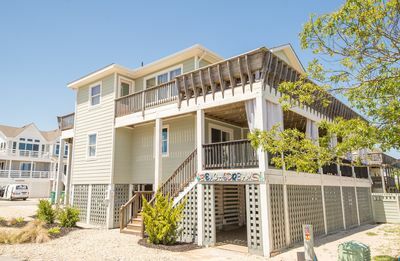 With a short walk to the beach, Tucked Away provides ocean views and a relaxing environment with plenty of activities to enjoy during your stay. 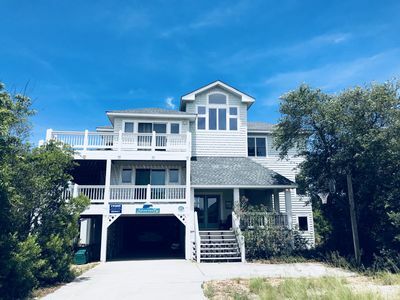 Beach access is just a few minutes walk from the home (1 easy block to the beach) where you'll enjoy the soft sand and wide expansive section of Whalehead Beach. 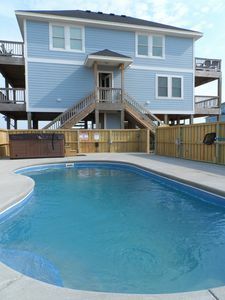 For outside activities, Tucked Away has a large pool, hot tub, and volleyball to use after a day at the beach. There's also an outdoor shower with changing area, and a bathroom convenient to the pool and hot-tub. 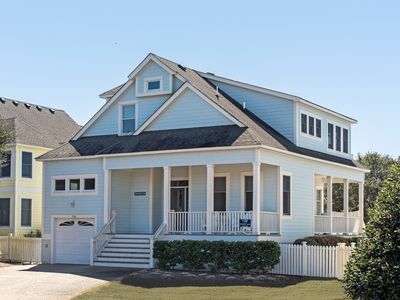 Enjoy the sunrise from the comfortable screened-in porch or from the Adirondack chairs on the rear deck. With comfort in mind, the couches, furniture, bedding, carpet, ceiling fans and lighting make the home warm and inviting as "Tucked Away" will make you want to return again and again. 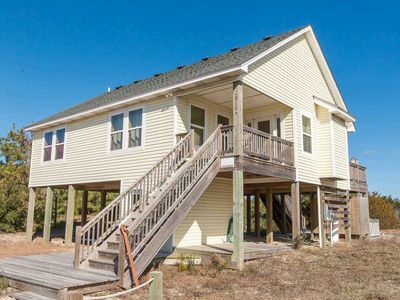 The upper level has a spacious kitchen, half-bath, screened-in porch, and open dining and living area. Enjoy the 55" flat screen TV, DVD player, Wi-Fi, and Dish network entertainment options (Dish includes link to Netflix to stream movies/shows and Dish on demand movies). The large dining table seats 10 and there is seating on the deck as well if you wish to enjoy your meal outside. The kitchen is stocked with ample housewares and small electric appliances (blender, mixer, microwave, waffle maker, popcorn maker, Keurig coffee maker, coffee maker (drip), crock pot, toaster oven and more). 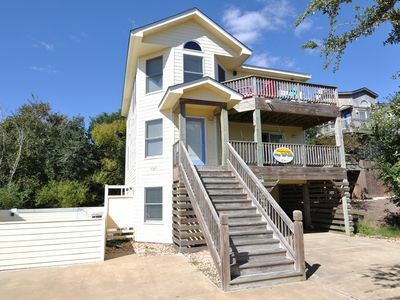 On the main living area, there is 1 king bedroom with private bath, desk, flat screen TV/DVD and direct access to the 2nd floor deck; 1 queen bedroom with flat screen TV and direct access to the 2nd floor deck; 1 twin bedroom (with 2 beds) and flat screen TV/Xbox 360 (DVD); and 1 bunk/full bedroom (1 full bed and bunk bed with 2 twin) with flat screen TV. Total sleeping capacity for the house is 10. For your convenience, there are beach umbrellas, a beach cart, wheeled cooler and beach chairs provided in the outdoor storage area which also includes beach toys, etc. 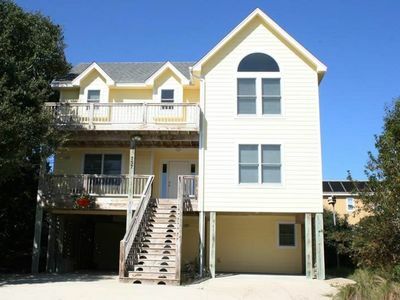 The ground floor provides a covered entry into the home and includes full laundry (washer/dryer). The poolside dining table and Weber propane and charcoal grill in pool area make a great hangout for days or evenings by the pool. Linens and bath towels are included in the rental rate. Absolutely NO PETS, no smoking, and renter(s) must be at least 25 year of age. 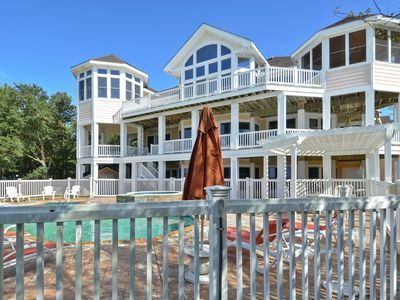 50% deposit is required to reserve, this is refundable if you cancel 60 days prior to check-in date. 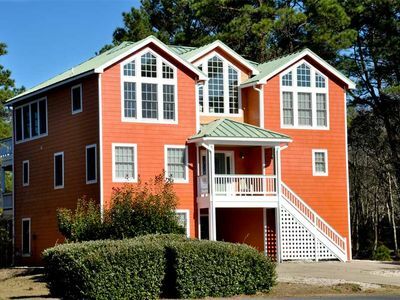 A $275 cancellation fee may apply if unable to book the rental week. There is a $500 refundable security deposit. 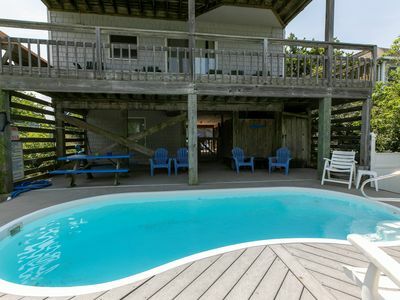 Just pack your toothbrush and head to “Tucked Away” for both fun and relaxation!! 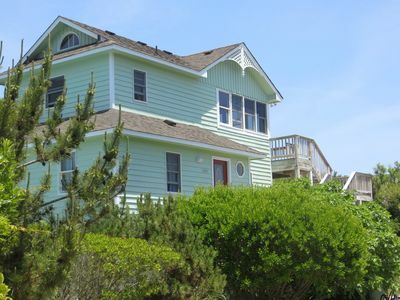 *Apr 20 reduced 25%*MAY 20%*Lightly Salted*Gorgeous Ocean View*HOT TUB OPEN! 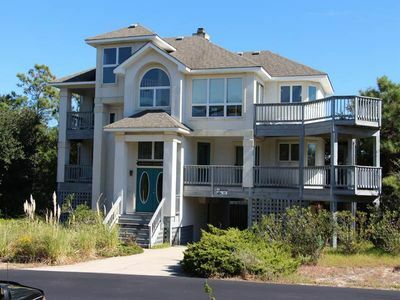 OCEANSIDE- 4 BRs (2 Masters), Private Saltwater Pool, Hot Tub, Ships Watch!!! COME ENJOY PARADISE! See the Wild Mustangs! 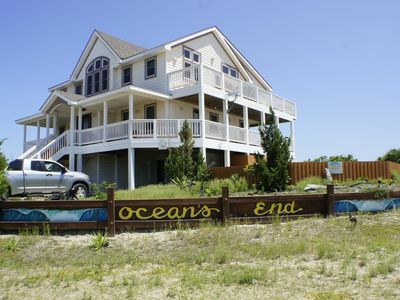 Enjoy the natural beauty of Carova! 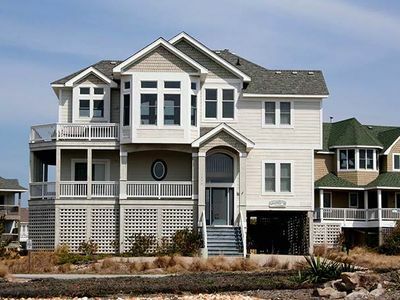 Sea Biscuit: Private and community pool, gated community, 4 bedrooms. 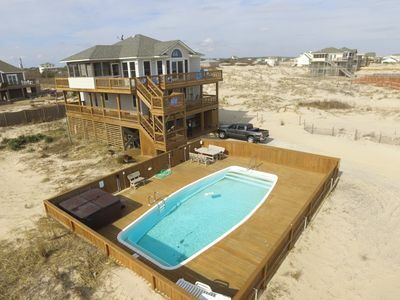 Daydreams By The Sea: Corolla, Ocean Sands with a private pool and hot tub. 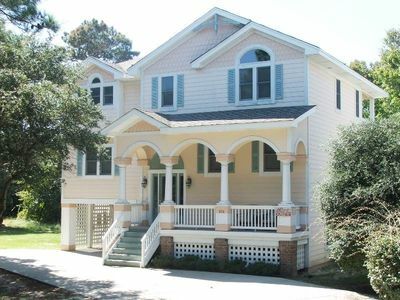 6 bedrooms, heated pool, hot tub, elevator and keyless entry! C7729 Beach Dreams. 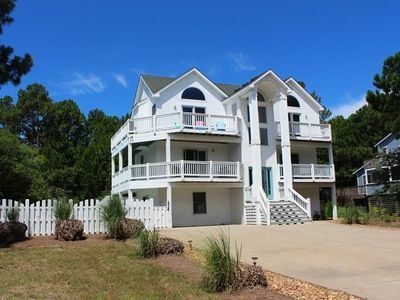 3 Large Masters, BIG Pool/Hot Tub, Pets OK! C9070 Blue Sky Inn. 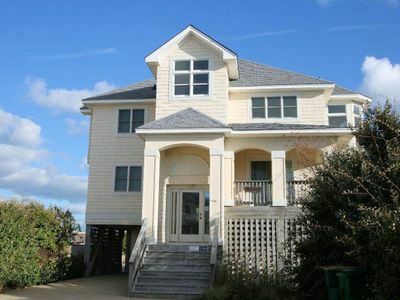 4x4 Area, Wild Horses, Canalfront, Hot Tub, PETS OK! Less than 500 ft to ocean. 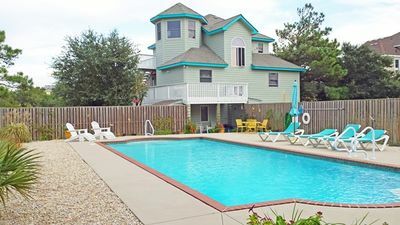 Poolside bar & fridge, 5 bed/4master, Pups welcome!